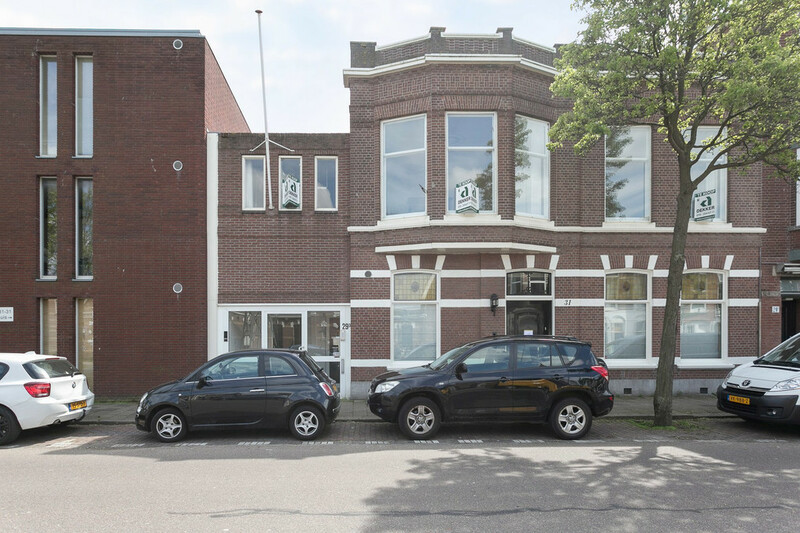 UNIEK BIJZONDER RUIM EN LICHT 5-KAMER 1E ETAGE TOP-APPARTEMENT IN GOEDE STAAT VAN ONDERHOUD, TOTAAL 200 M² WOONOPPERVLAK VOORZIEN VAN LEUKE DETAILS, HEERLIJK ZONNIG GELEGEN TERRAS EN PRACHTIG VRIJ UITZICHT RICHTING “SCHEVENINGS” MUSEUM, GELEGEN OP PRIMA LOCATIE OP SCHEVENINGEN OP LOOPAFSTAND VAN STRAND EN ZEE, “WESTBROEKPARK”, WINKELS EN OPENBAAR VERVOER. GEEN PARKEERPROBLEMEN, MIDDELS BELANGHEBBENDEN PARKEREN VOOR DE DEUR. Bellentableau, algemene entree, via eigen voordeur entree woning, ruime hal met garderobe ca 10 m2, meterkast, fraaie trap naar 1e etage, hal ca 5.00m x 1.50m, royale hal/zitruimte ca 5.30m x 5.50m, fraaie lichte kamer ensuite over de volle breedte van de woning ca 5.00m x 4.50m / 5.30m x 3.90, doorloop naar royale eetkeuken ca 5.00m x 3.10m, ruime badkamer ca 4.50m x 3.00m met ligbad, douche, badkamermeubel met dubbele wastafel, wma, inbouwverlichting en daklicht, ruime 1e slaapkamer ca 5.00m x 4.50m, 2e slaapkamer ca 2.00m x 5.30m met schuifpui naar terras, hal, ruim separaat toilet met fontein, technische ruimte met cv opstelling, 2e badkamer met wastafel, douche, toilet en opstelling wasmachine/droger ca 5 m2, 3e slaap/werkkamer 4.00m x 3.10m met eveneens toegang middels schuifpui naar terras. - De "niet bewonen clausule" is tevens van toepassing. UNIQUE, VERY SPACIOUS AND LIGHT 5-ROOM 1ST FLOOR TOP APARTMENT IN A GOOD STATE OF MAINTENANCE, TOTAL 200 M2 LIVINGSPACE WITH NICE DETAILS, LOVELY SUNNY TERRACE AND BEAUTIFUL VIEWS AT THE “SCHEVENINGS” MUSEUM, LOCATED ON A TOP LOCATION IN SCHEVENINGEN ON WALKING DISTANCE OF THE BEACH, THE DUNES, THE “WESTBROEKPARK”, SHOPS AND PUBLIC TRANSPORT. NO PARKING PROBLEMS, PARKING WITH PERMIT IN FRONT OF THE HOUSE. General entrance, through private front door entrance apartment, spacious hall, approx. 10 m2, cupboard with electricity, beautiful staircase to 1st floor, hallway with skylight, approx. 5.00m x 1.50m, spacious hall/sitting room with skylight approx 5.30m x 5.50m, lovely bright ensuite room across the full width of the house, approx. 5.00m x 4.50mm / 5.30m x 3.90, spacious open kitchen, approx 5.00m x 3.10 m, spacious bathroom approx 4.50m x 3.00m with skylight, bathtub, shower, double washbasin with mirror and cupboards, spacious masterbedroom approx. 5.00m x 4.50m, 2nd bedroom approx 2.00m x 5.30m with sliding doors to terrace, spacious toilet with sink, hall, utility room with central heating system, 2nd bathroom with shower, toilet and washing room with washingmachine and dryer approx 5 m2, 3rd bedroom approx. 4.00m x 3.10m with entrance to terrace through sliding doors. - Given the construction year, clauses on age and asbestos containing materials are incorporated in the salesdeed. - The "not lived in" clause will be incorporated in the salesdeed. This information is provided by us with the necessary care. On our part, however, no liability is accepted for any incompleteness, inaccuracy or otherwise, or its consequences. All specified sizes and surfaces are indicative. The NVM conditions are applicable.